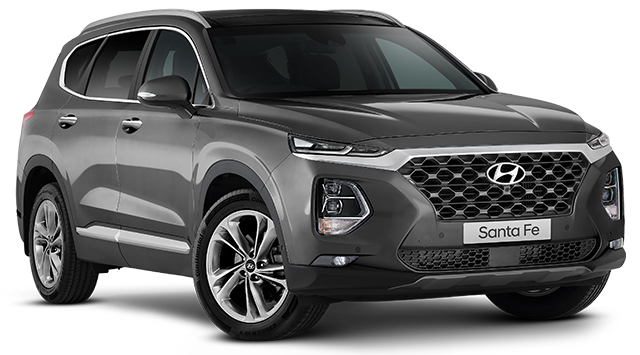 From the ground up, the bold and modern Santa Fe Series II is rugged yet elegant and incorporates the features and performance you’d expect from a premium All-Wheel-Drive SUV. It’s a sophisticated and contemporary family car that combines high levels of comfort and versatility with an enhanced open road performance. Both the slick 6-speed manual and 6-speed automatic achieve greater fuel economy and provide increased driving pleasure. An electronic manual mode on the 6-speed automatic also enables a more involved driving experience. Delivering exceptional power and advanced technology, the Hyundai Santa Fe Series ll is sure to impress. We won’t settle for anything less than 7 airbags and a 5-star ANCAP safety rating. 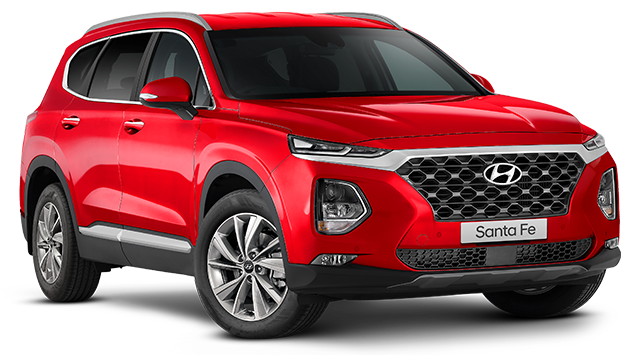 That’s why the Santa Fe features a suite of intelligent safety technologies called Hyundai SmartSense™, which is available across all variants in the Santa Fe range. Some of these include Autonomous Emergency Braking (AEB), Blind Spot Detection (BSD) and Smart Cruise Control (SCC). 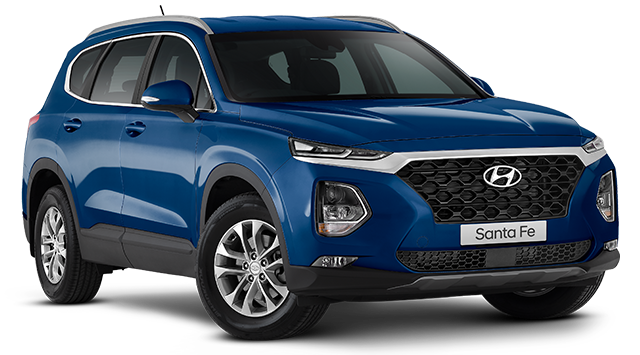 The Santa Fe’s performance is a testament to the work our designers and engineers put in every day, in order to deliver a more enjoyable and practical ride. Choose from three engines – the 2.4 GDI (Active), 3.3 MPi V6 (Active X) or the 2.2 CRDi diesel engine available on the Active, Elite & Highlander variants. Finance to approved applicants (excludes Government, Rental and Large Fleet Buyers). 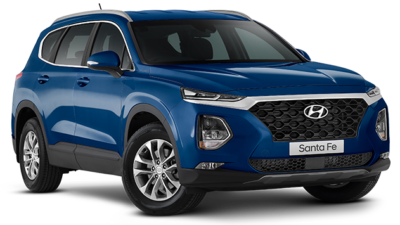 ^Finance offer applies to Santa Fe Active X models with a maximum finance term of 36 months and minimum 20% deposit. 1.1% P.A. comparison rate is based on a 5 year secured consumer fixed rate loan of $30,000. WARNING: This comparison rate is true only for the examples given and may not include all fees and charges. Different terms, fees or other loan amounts might result in a different comparison rate. Credit criteria, fees, charges, terms and conditions apply. Finance applications must be approved and settled by 31/07/2018. 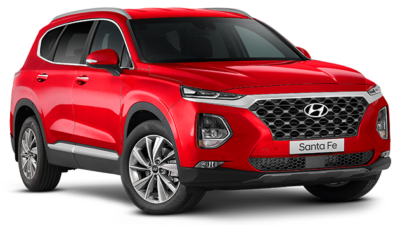 Hyundai Finance is a registered trademark of Hyundai Motor Company and is operated under licence by St.George Bank – A Division of Westpac Banking Corporation ABN 33 007 457 141 AFSL and Australian credit licence 233714. All cars must be ordered between 7th July 2018 and delivered by 31st July 2018. Drive away price includes the recommended retail price, 12 months registration, compulsory third party insurance, dealer delivery charge and stamp duty. *3 Years Free Servicing applies to all vehicles for 12mths or 15,000Km, 24mths or 30,000Km & 36mths or 45,000Km and for Turbo Petrol models 12mths or 10,000Km, 24mths or 20,000Km & 36mths or 30,000Km whichever comes first. Eligible vehicles are entitled to free standard scheduled maintenance (i.e. logbook) services at participating authorised Hyundai dealers. Free scheduled maintenance services must be redeemed within specified service windows and are of limited scope. Terms, conditions & exclusions apply. Participating dealers will not substitute the offer with another offer of the same value. +The Factory bonus must be redeemed against the vehicle at the time of purchase. Vehicles must be in Col Crawford Stock. 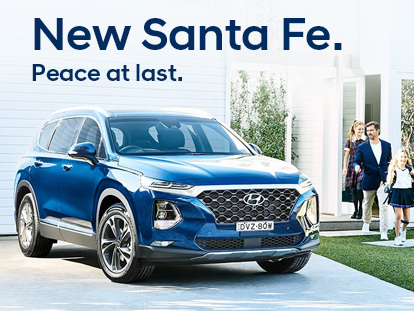 Col Crawford Hyundai reserves the right to change, supersede or extend these offers at its discretion. See Col Crawford Hyundai dealer for details. Col Crawford Pty Ltd is Licensed under the Motor Dealers repairs Act 2013 MD6342.